June 24, 2013 by Ken Ward Jr.
Citizens have a right to expect protection by their government. West Virginia is failing to protect its citizens from chronic pollution, environmental degradation, human suffering and costs resulting from inadequate regulation of coal extraction by state government. Decades of citizen efforts have not resulted in sufficient improvements to state government’s enforcement of mining laws, particularly around the devastating consequences for West Virginia communities of unenforced regulations for surface mining. While mining operations in West Virginia have been cited for at least 6,301 SMCRA violations since 2006, many more violations have been ignored and unenforced. West Virginia has failed to take action to address the systematic problems evidenced by these violations. These failures can no longer be tolerated. After thirty years of failure, it is past time for OSM to assume control of SMCRA permitting, implementation, and enforcement in West Virginia. The situation could not be more dire nor the stakes higher. In particular, since mountaintop removal mining has become common, West Virginia‘s failure to properly enforce its approved State program has enabled coal operators to use destructive mining practices that have devastated significant areas of its diverse, mountainous, and productive landscape. Forested mountain ridges and valleys have been flattened into moonscapes incapable of supporting any meaningful use or vegetation. Mountain streams have been permanently buried beneath the rubble of what were once mountaintops. Waters have been contaminated for generations to come. These mining activities have caused communities and downstream areas to be subjected to increased flooding risks. Complete upstream watersheds have been rendered incapable of maintaining proper hydrological function. A huge portion of southern West Virginia has been permanently scarred by inadequately regulated mining and tens of thousands of additional acres are currently under permit or slated for permitting that would cause widespread additional significant harm to communities and their environment. Unless West Virginia‘s current illegal and ineffective implementation of SMCRA ceases and lawful administration and enforcement of SMCRA occurs, West Virginia‘s land, waters and wildlife will be either lost or permanently scarred and many communities will suffer the adverse economic, social and environmental impacts that SMCRA was specifically designed to prevent. This is unacceptable. OSM must act now. Over the years, WVDEP‘s record of placing the interests of the coal industry above human health and the environment has had devastating impacts for the communities of West Virginia‘s coal fields. Folks should have done this long ago. Ken, wasn’t it you who found in the 90s that the DEP had no idea how many acres of West Virginia were under mountaintop removal mining? The DEP didn’t even track how many permits it had granted. I was just involved in a Surface Mine Board appeal on a permit. The inspector who is supposed to be monitoring the Spruce Fork/Blair area water conditions for permits stated in sworn testimony that the Spruce No. 1 mine was not in operation and therefore had no violations. Her knowledge of the area she was supposed to be monitoring was absurdly inadequate in many other areas. “Vested interest” is the phrase that applies. State agencies and officials too often have an agenda that is not in the best interest of the people of the state. What is done within the boundaries of a state certainly impacts those outside the boundaries. I don’t need to rehash the science that says MTR is bad for the environment and health of people. The states in Appalachia have repeatedly shown that they are interested in only the monetary gains to state and corporate revenue and have only paid lip service to the needs of the environment and health of people. 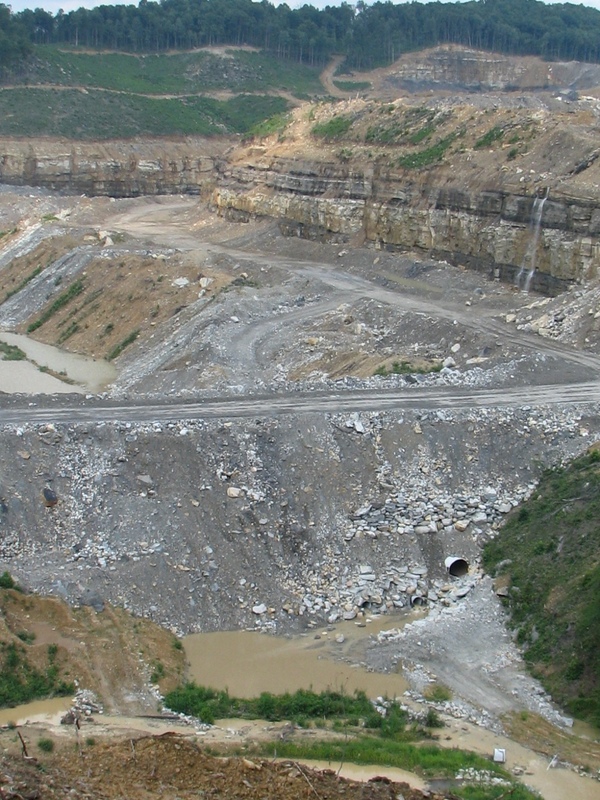 Over the past several years, the serious selenium water pollution caused by mountaintop removal / valley fill operations has been extensively covered in the statewide media. It absolutely boggles my mind that WV Dept of Environmental “Protection” has continued to issue strip mine permit renewals, in known high-selenium coal seams, without effective selenium limits. OSMRE “action” pursuant to Chapter 30, Part 733 of the Federal Code of Regulations (CFR). The Ohio State Program was conditionally approved in 1982 and still remains so because a condition on its Alternative Bonding System remains fulfilled. The OSM field office director in 1995 (which was me then) recommended a 773 Action be considered. In 2005, OSM initiated a 733 Action on Ohio — to date, nothing else has occurred. Best of luck on getting OSM to do reclamation and enforcement. I will sign and support this petition, though I have doubts that US OSMRE will be any more effective. With sequester, they have so few resources with which to work, and the exploiters have so much. It sort of tells the story. We used to say that nothing would be done until somebody dies. Since the elite are dedicated to reducing the population of the world by (pick your percentage), it appears that nothing will be done until after millions have died. I’d like to include my perspective as a previous inspector for WV DEP (left in 2012). All the specific allegations presented in the petition are accurate. Pretty sure the WV DEP even acknowledges many of them yearly when confronted by OSMRE. – Issues permits and renews existing permits to mine operators with unabated previous violations; this is due to several factors. The back log of permitting actions at WV DEP is extensive. Some permits are submitted in a very sad state with many errors. Once these errors are identified, it can take companies/consultants months to correct and resubmit the permit application. This creates a very hectic environment in which permit reviewers are rushed to get the permits reviewed and out the door. The turn over rate at WV DEP is also very extreme and some of the permit reviewers are very new in their positions. It happened on more than one occasion in which I asked a permit reviewer why the permit was being reviewed and even later why it was being issued when the company was listed on the block list in ERIS (the WV DEP database). The answer was usually “I didn’t know they were on the block list” or when digging into the situation of a company that had permitting actions pending I’d discover that the permittee should have been on the block list and wasn’t. Permittees need to be added to the block list and the communication was often lacking and prevented this from being done in an efficient manner. Thus the permits get pushed out the door. – Continues to have chronic problems with understaffing; Many leave for greener pastures (i.e. greener wallets) and better advancement opportunity. The current pay for an Environmental Inspector-In-Training is 33k which increases to 35k after one year. Prior to the summer of 2012 the amounts were 29k and 31k a year. Inspectors receive a vehicle to drive to and from work. Permit reviewers do not receive a vehicle and are often paid the same or less than the inspectors. There are also great issues with communication between HQ and the field offices. Training, communication, and over all treatment can vary greatly between HQ, Philipi, Logan, Oak Hill, and Welch. Inspectors talk to each other and the difference become apparent quickly. This is very discouraging if you are located at one of the field offices where you feel like you’re getting the short end of the stick. Plus, unless you’re from the coal fields originally, most aren’t going to stay and try to raise a family and buy a house on 35k a year. Especially once you figure out the raise given in 2012 was the first substantial raise in quite some time and raises probably aren’t forecasted in the near future. – Fails to conduct mandatory inspections; So true. This is easily verified by running the frequency report in ERIS. I know it can be run by inspector and by supervisor. It shows what inspections were completed during each quarter and yearly. Very handy. The lack of inspections can be contributed to many things. Understaffed is one. Also, the WV DEP has hundreds of permits to conduct partial and complete inspections on monthly, quarterly, and yearly. These permits can be anything from a 5 acre deep mine face-up reclaimed 10 years ago to a 1,000 acre surface mine that is active, moving coal. Many permits that are on the books could be released and should be released. Many companies don’t want to part with permits that may have “some reserves” left so inspectors still need to inspect them. A big issue is time! An inspectors day starts when he/she leaves his/her house and when he/she returns home. I believe it is safe to say the average commute for each inspector one way is an hour. That is two hours of drive time a day plus one half hour for lunch. Two and a half hours a day are spent not doing inspections. One day a week is typically spent as an office day (full 8 or 10 hours is spent in the office) for inspectors in which they do paper work, check email, review their portion of permits, and discuss with other inspectors/supervisors. So for someone working four ten hours days, 7.5 hours of on the clock time is spent not doing inspections and 10 hours is spent in the office. This leaves 22.5 hours to conduct inspections of permits ranging in size from 5 acres to 1,000 acres. Plus follow up inspection must be made at permits that Notices of Violation which means more time on that permit. – Does not take appropriate enforcement actions, issuing inadequate fines and seldom taking tougher actions such as show-cause orders; I can’t really explain this one. As an inspector it was frustrating to get to the point of a Failure to Abate Cessation Order only to be told to extend the violation cause “what good will it do” or “what will it achieve to send the paper work to HQ when it will just sit on a desk and or be ignored”. There are many instances that inspectors want to do the right thing but management prevents this from happening. To sum it all up. Yes the WV DEP has flaws. Yes these flaws are apparent and documented. Yes the WV DEP program can be taken over. However, people need to remember that the U.S. Office of Surface Mining Reclamation and Enforcement currently conducts over sight of the WV DEP Mining and Reclamation program. The administrators and field personnel are well aware that there are deficiencies in the WV DEP program. Will having OSMRE take over change anything? Doubtful. I would estimate at least 100 employees would need to be hired to take over for the WV DEP Mining program. That won’t happen. Plus, OSMRE inspections are of no better quality than WV DEP inspections. WV DEP can do a great job. It just needs to be combed through with a fine toothed comb and the root of some of these problems needs to be addressed. ARL, thank you for sharing this inside view of the WV DEP. In my opinion, underfunding of the DEP is by design. A plan to fix all of the above would include an environmental enforcement fee (E-Fee) on those industries the DEP is mandated to regulate, replace current leadership with sound leadership with no ties to coal, and a citizens overview board. The C.A.R.E. petition makes it clear that the status quo at the DEP is not acceptable, changes must me made. I would suggest to take it a step further by no longer filing complaints with the DEP, and file all complaints with OSMRE and EPA instead. Why lend any credibility to DEP if they are in failure to regulate? What you say can be said by most inspectors of all kinds. I could say it as an Ohio reclamation inspector in 1975. That same year a report from a 18 month study of state reclamation inspectors said the same thing. For sure, inspectors do not do for the money or for an easy job. The research team on this petition thanks you for your kind words and on point analysis of your situation feel free to contact us if you wish to get more involved rob@crmw.net. Most would agree that the result we are all looking for is an effective regulatory program and any successful way to get there is a good way.